It’s always interesting to watch a real planner at work, and even more interesting when s/he is working 7,000 miles from home. I was in Dubai for a few days last year when Stephen Goldie, an Australian who I first met at a CNU conference some years ago, invited me to visit him in Al Ain. I jumped at the opportunity. Al Ain is in the eastern part of the Emirate of Abu Dhabi, but I really had no idea what to expect, so I got on a minibus and left the forest of non-stop construction that is Dubai for a 90-minute ride through a magnificent desert landscape. Since 2007, Steve’s been employed by the Abu Dhabi Department of Municipal Affairs as City Planning Advisor for Al Ain. 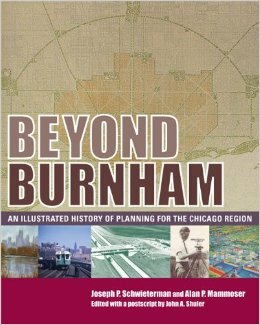 His work here touches on everything from housing to transportation. He works across the spectrum, while also advising the department on planning matters affecting the whole emirate. After an hour or so the sand dunes turned from yellow to red, the humidity dropped to very dry and the distant Al Hajar mountain range, in neighboring Oman, grew slowly more impressive. Then the desert gave way to suburbs of new, large and expensive ‘Egyptian style’ villas, then older, single story, more traditionally Arab looking homes. Finally we entered a bustling, mostly five story city center, all of it pleasantly landscaped with date palms, trimmed hedges, flower beds and parks of lush green grass. It’s a picture of an oasis city that was reinforced when Steve met me at the bus station with a cheery “Welcome to the garden city of the Emirates.” During the next couple days, I learned a lot about this very interesting corner of the Middle East. Al Ain is probably around 7000 years old, but is now a city of a half million that is growing rapidly and expanding outward from a group of very ancient oases (Al Ain means ‘the spring’). We took off in Steve’s SUV and along the way renewed our friendship. Steve studied planning and urban design at the University of New South Wales in Sydney, and made his early career in town planning there, rising to Director of Environmental Services at Fairfield City, in the western suburbs of Sydney. Then he made a move across the continent to Perth to take up an executive director position in the Western Australian state government’s planning department. His last position there was as a principal consultant for the Western Australia Planning Commission, managing seventeen interrelated plans, projects and committees that led to the opening up of a major development corridor to the north of Perth. We passed though the outer parts of Al Ain, where large homes in compounds spread over the landscape. Steve showed me a massive new development of housing for Emirati citizens, where he’s trying to add a touch of New Urbanism. Finally we arrived at the outskirts of a village and stood on an overlook where Steve pointed out a distant freight highway passing through the desert. Someday the first freight and passenger rail lines in this part of Arabia will come through this corridor, and Steve’s been thinking a lot about that. Steve is a planner’s planner. He’s happy to chat with engineers about intersection design, or the qualities of stone cladding in a road tunnel, then change the topic and begin discussing the methodology of a regional framework plan. His interests span the whole profession. And he has the planner’s habit of always thinking about what will likely happen in the future; of seeing the current situation from future perspective. For the municipality, he is constantly busy advising on many projects, including street addressing, large scale housing expansion for Emirati citizens, the development of tourism, major open space projects, and, not least, planning for Al Ain’s connection into a new national rail system. Much of his work involves attending various technical and steering committees for projects being run out of the Urban Planning Council, Department of Transport, and other government departments. He’s looking after the municipality’s interests while doing his best to ensure good planning outcomes for the emirate. The next day, Sunday – a working day in this part of the world – I was privileged to attend a presentation on one of the open space projects. It deserves an article in itself 1; however, the main takeaway was that there are Iron Age aflaj (underground water supply tunnels) supplying the ancient oases from springs in the foothills of the Al Hajar Mountains, around ten to twenty miles away. Many of these 3000-year-old tunnels are still operating, generally thirty to sixty feet underground and only visible at the surface by the regularly spaced covers over their airshafts. The essence of the project is to excavate an artificial canyon that will allow visitors to walk down a mild incline in deep shade to see a short section of an exposed falaj. It is a unique and fascinating project that has benefited at every step from Steve’s very professional input and guidance. What most fascinated me was the idea of introducing rail in this region. If Dubai and Abu Dhabi form the base of an equilateral triangle pointing southeast, then Al Ain is the inland point, pressing up to the border with Oman. Etihad Rail, the national rail system, has plans to connect these cities by rail. A mixed freight-passenger line, whose first leg linking an interior production area to the coast is already complete, is planned to eventually come through Al Ain’s southern industrial area and enter Oman on its way to the port of Sohar on the Indian Ocean. In later phases, passenger rail lines will extend to Dubai from both Abu Dhabi and Al Ain. This network will link into a rail system connecting the seven Arabian Gulf countries that collaborate economically as the Gulf Cooperation Council. It’s an ambitious scheme for the first ever freight and passenger rail in this part of Arabia. Part of Steve’s work involves dialogue with Etihad Rail and planners in Abu Dhabi. So he’s been thinking a lot about how the proposed passenger rail would come through Al Ain. He’s coordinated different plans by various agencies so that they now form one coherent plan for a route that brings a combined intercity and metro rail service under the wide commercial avenues leading through the city’s central area, and on past new residential developments along the city expanding edge. New stations would link these areas to both Abu Dhabi and Dubai (each approximately an hour away), and eventually to the whole Gulf region. It’s really long-term planning, particularly given the current low oil prices, and will all be completed long after he’s left the area. But that doesn’t matter, because his main concern is to shape the future in the best interests of Al Ain. Steve mentioned other rail projects in Sydney, Auckland and Perth that he was involved in, and that were completed after he had moved on. “It’s still very satisfying to go back and see the built outcomes and watch how people interact with them,” he says of these projects. 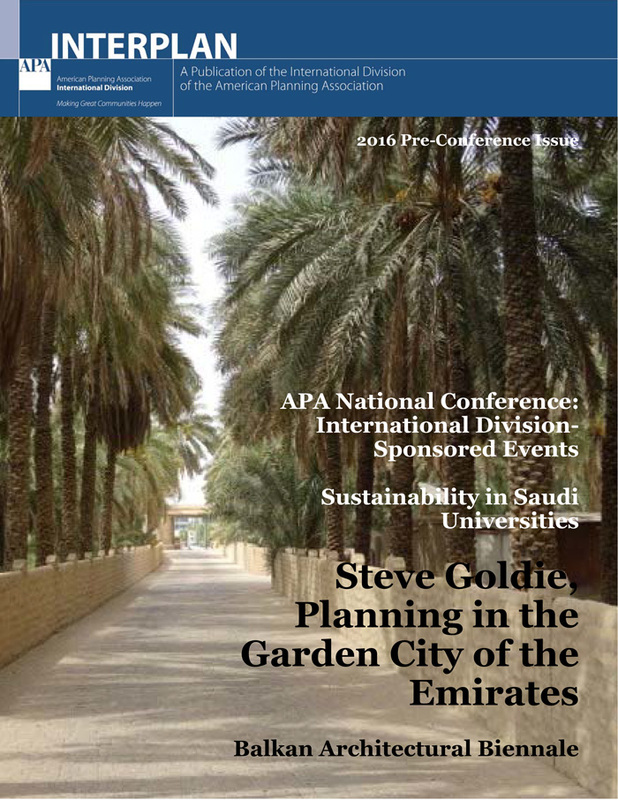 I hope it is not too long before I get another opportunity to visit the garden city of the Emirates and chat about planning with Steve Goldie. 1 For The Aflaj Park Project by I-Con for Al Ain City Municipality, click here. 2 For Stephen Goldie’s paper The Impending Revolution in Urban Planning Practice: Intelligent and automated, but will it be garbage in, garbage out? see pages 745-762 of the 51st ISOCARP conference proceedings. Alan, very nice read! Thanks for sharing your experiences in an exciting place in the world of planning. Hi Alan, thankyou so much for giving me a detailed insight into my big brother’s working life. I too, visited Al Ain a few years ago with my husband and found it to be a lovely city. Undisturbed, for the most part, by the frantic pace and growth of both Abu Dhabi and Dubai. An extremely interesting article that I will share with other members of Stephen’s family. I have just read the article regarding Steve Goldie. I knew him when he was a little boy living in a terrace house in Sunderland and I was at college, he is a credit to his family. His father would be, and his family can be justly proud of him. Isn’t the internet a wonderful thing? Who could have imagined, all those years ago, that Peter would be able to follow the progress of the little boy he read stories to and who so missed his father. When many young men would not have understood, we both appreciated his thoughtfulness.